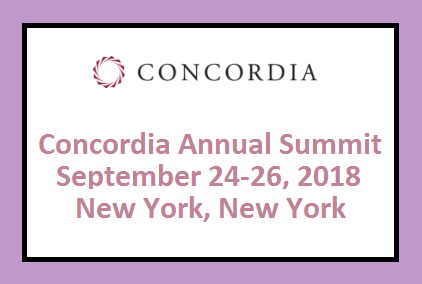 This years edition of the Concordia Annual Summit will take place on September 24-26, 2018 at the Grand Hyatt New York, New York. The Concordia Annual Summit convenes business, government, and nonprofit leaders to foster dialogue and enable effective partnerships for positive social impact. This global affairs forum takes place in New York City and examines the world’s most pressing challenges to identify avenues for collaboration.